​while providing educational resources to our communities. Rivertown Parents - where Parents, Educators and Students come together to learn, share and connect. As parents strive to meet the many demands faced by families today, they often need support for themselves and their children. The Parent-Teacher-Student Associations of Ardsley, Dobbs Ferry, Hastings, Irvington and Sleepy Hollow/Tarrytown have come together to form Rivertown Parents in order to provide information, advice and support for parents and their children in elementary, middle and high school. In an effort to connect and provide resources to parents, Mercy College has partnered with us. Our mission is to promote and foster communication in the Rivertowns among parents, children and their schools and to provide educational resources to our communities. We strive to build a stronger Rivertown Community and to educate in the area of parenting and child-rearing. 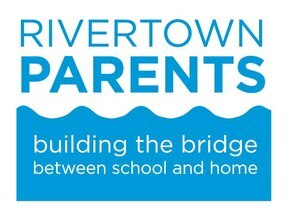 Rivertown Parents wants to hear from you! https://www.surveymonkey.com/r/R2R7X63 so we can understand how we can best serve our community.